Skilled Occupations List (SOL) is for you to apply for a Skilled Independent Permanent Visa Subclass 189, Skilled Regional Provisional Visa Subclass 489 (Family Sponsored Points Tested) or Graduate Visa Subclass 485 – Graduate Work Stream. Although these three occupations are no longer on the SOL, applicants may still be eligible to acquire a state or employer sponsorship under these occupations. Consolidated Sponsored Occupations List (CSOL) is used when an applicant is nominated by an employer for a 457, a 186 or ENS (Employer Nominated Scheme) by either Direct Entry Stream or Temporary Residence Transition Scheme (2 years with same employers). 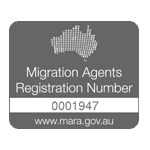 Since 1st July 2015, the Department of Immigration and Border Protection released new visa application charges. An occupation ceiling will again be applied to invitations to apply to migrate under the points based skilled visas of the general skilled migration programme- Skilled Independent Permanent Visa Subclass 189 . We have done a comparison of the occupation ceilings in 2014-2015 and 2015-2016. Contact us at info@australiamigrate.com or call us at (02) 9411 6000 for immediate advice about how we can assist you in your visa matters.